Chanteclear, set along the pristine beaches of Gonubie, East London, is your ideal home away from home , a place to unwind from the stresses of the day, by relaxing to the amazing sounds of waves crashing and seagulls chirping. The Bed and Breakfast is the perfect location for the businessmen needing a break from meetings in East London, or the holiday maker looking for a base to explore the amazing coastline. 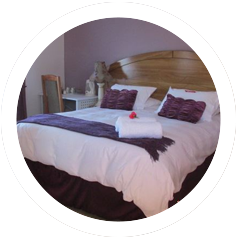 The B & B has wonderful en-suite double bedroomed units that open up onto a majestic fountain in the centre garden. All bedrooms come with selected Dstv channels and internet connectivity. 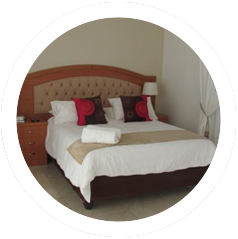 There is also a self catering unit which boast a bedroom, sleep couch, 2 bathroom, kitchen and selected satellite channels. The rates are R500 per night per Room(2 adults) (including full English breakfast) and R525 per night for the self catering unit (excluding breakfast), served by your host Tony and Stella Paul. channels, a double bed and en-suite bathroom.